That first batch of T-Shirts should be out now, so feel free to share a pic of you in it! EDIT - I'm just cleaning up the text only posts and keeping the thread relevant. It isn't anything personal, I even removed my text only post. EDIT #2 - More text only posts removed. Photos not text! Re: Show off your shirt! Was busy this weekend, broke laptop screen on sunday, found camera had a dead microdrive monday. One of my tunnels terminates in the Soekris to my right. 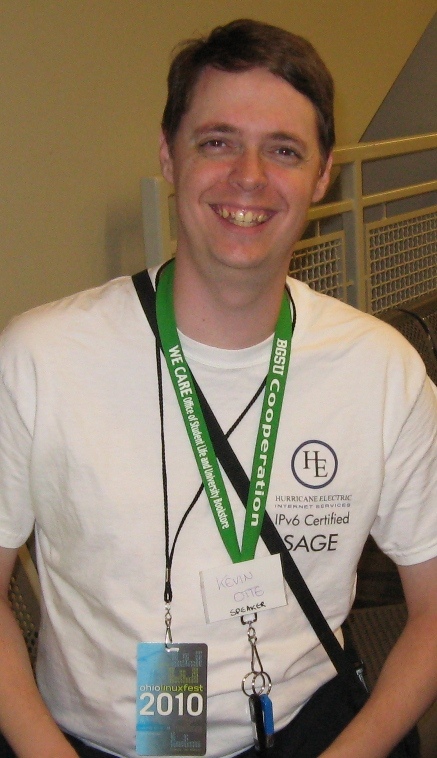 Taken after my presentation "Getting Started with IPv6" at Ohio LinuxFest 2010. I haven't received mine yet but here's my husband's! 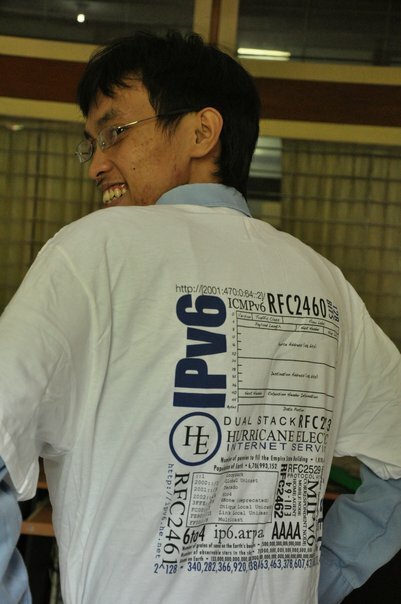 I wore mine to my CCNA test and passed! Proof attached. 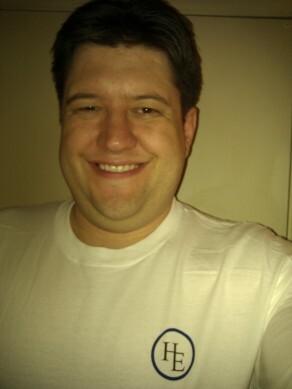 Thanks HE.NET for your lucky t shirt! 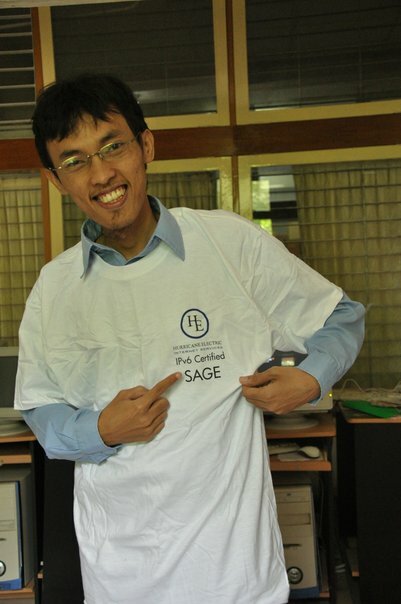 Thank you for the SAGE t-shirt. I am very proud of it. 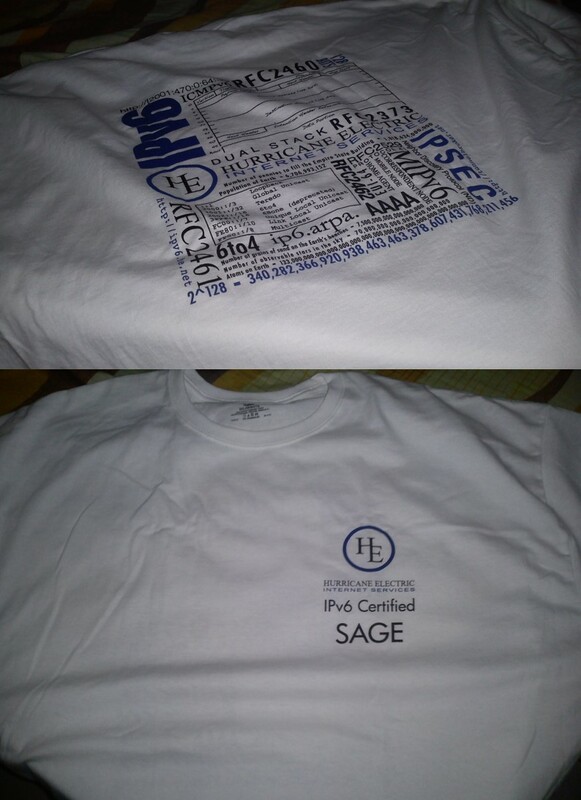 Passed the test at the end of last year and today here is the t-shirt.